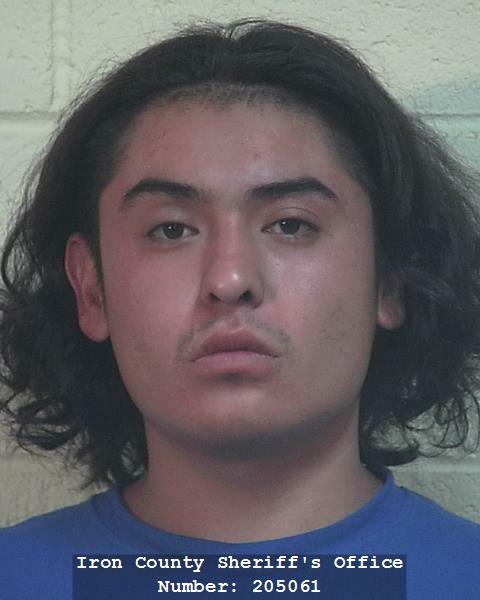 ST. GEORGE — A domestic violence incident on the highway led to the arrests of two men in Iron County who allegedly broke into a home hide from police. Around 1:05 p.m. Saturday, a passerby in the area of Exit 51 off Interstate 15 noticed a vehicle pulled over to the shoulder on Old Highway 91 and a man allegedly beating a woman outside the vehicle. The passerby called the incident into authorities and stopped to confront the man beating the woman, according to a probable cause statement written by Iron County Sheriff’s deputy Thomas Byrd. The man, identified as 26-year-old Dayton Bobby Tso of St. George, is accused of beating the woman. They had been arguing before exiting the interstate and parking on the side of Old Highway 91. The woman told Tso to get out of the vehicle, at which point he “grabbed a hold of the gear shift level causing it to break rending the vehicle inoperable,” Byrd wrote. Tso then broke out the front passenger-side window and dragged the woman out by her throat while also kicking and hitting her, according to the probable cause statement. Byrd reported the woman had received a split lip and marks and scratches on her face and neck from the incident. It was at that point that the passerby called police and moved to confront Tso, who, along with another man who had been in the vehicle – 28-year-old Michael Sean Begay, of Enoch – started to walk northbound on Old Highway 91 away from the scene. When Byrd arrived at the scene he was given Tso and Begay’s location where they had jumped a fence into the backyard of a residence and attempted to enter it through multiple windows and get inside “in order to hide from law enforcement,” Byrd wrote. Two window screens were broken and a table inside the home was smashed, along with “blood smears and drops in several areas around the windows and the residence,” according to the statement. The property owner told police neither man was supposed to be there and that he wanted to press charges. Damage to the home was estimated at around $250. “Law enforcement had to give multiple verbal commands outside of the residence with the presence of a K-9 before Michael and Tso would exit the residence,” Byrd wrote. Both men were taken into custody and booked into the Iron County Correctional Facility. Tso was charged with felonies for aggravated assault, the burglary of the dwelling and criminal mischief, as well as a misdemeanor for domestic violence in the presence of a child – the woman’s 13-month-old son who was in the back seat of the vehicle. Warrants for other criminal offenses, as well as one for a previous domestic violence incident involving the same woman, had also been issued for Tso’s arrest prior to Saturday’s incident, according to the probable cause statement and Utah court records. 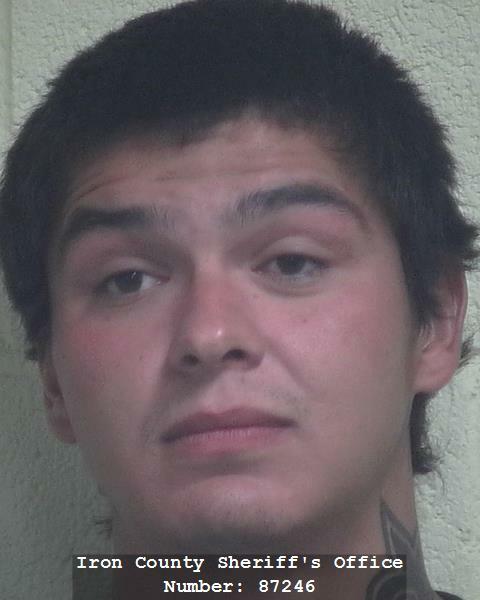 Begay faces a felony charge for burglary of a dwelling. Both men appeared in 5th District Court in Cedar City Tuesday before Judge Matthew Bell and remain incarcerated at this time, according to court records. Please ensure the convictions stick as felonies. That said, the woman seems to be a dim bulb. “When Byrd arrived at the scene he was given Tso and Byrd’s location”. When did the deputy decide to give himself the location of himself? The woman is stuck in a abusive relationship, many women are, that doesn’t make her a dim bulb, it’s becoming common place unfortunately. The only way to really escape this kind of abuse is to be able to legally move herself and the child far far away with the help of others because even if she were to get supervised visits the guy could pull a Josh Powell or take off to Mexico. I wish some how women who can prove abuse like this could get on some type of witness protection program and be able to move the kids to another state and change their names without incident. *he could take off to Mexico, with the child, is what I meant to say. Hey guys this actually was my friend that this happened to I was the one thtat went and got her and her child and was sitting there while the after math was happening. Not only that but Dayton tso was completely trashed and was even threatening me and my boyfriend as he was headed to cedar. No she isn’t dumb obviously u have never been in that situation it’s not like she asked for it. Dayton was drunk extremely angry and idk why but he took it out on here. I’m glad he is in jail and he wont be getting out for a long time. But no he will never be getting custody with all his charges and with this domestic violence cps has already informed us that wouldnt happen not like he would want the kid anyways he has 3 kids total and never fought for any of them. So maybe u should no the hole story next time before u want to dish out some …*! Someone needs to re-enroll in the 3rd grade. lmao.